As the winter theater season comes to a close, there are some shows you should try to see before it’s too late. On Your Feet! 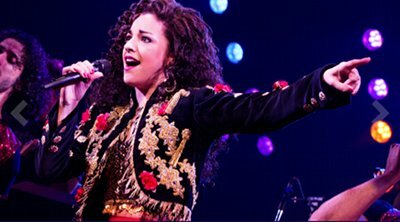 – this joyful Latin musicfest about the life of Gloria Estefan will have you literally “on your feet” as you join in a “Conga” line that meanders down the aisles. 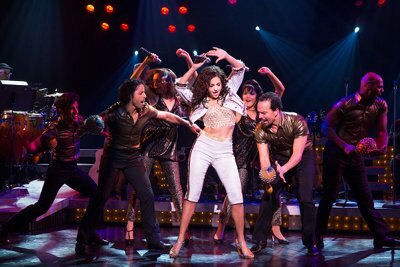 Do try to score an orchestra seat so you’ll be part of this active party which chronicles the rise of Gloria from a singer in a local band to the Miami Sound Machine superstar made possible by her meeting with Emilio Estefan. You already know the story about her tragic accident, so there’s no spoiler alert here, but you’ll appreciate her music more when you understand her relationship with her parents and the trials in getting a Cuban/Latin band to be accepted by mainstream radio stations. When you watch Ana Villafañe sing “1-2-3” and “Rhythm is Gonna Get You,” you’ll swear you’re seeing Gloria herself. Fun for all ages. Marquis Theatre, West 46th Street. www.onyourfeetmusical.com. A Gentleman’s Guide to Love and Murder – murder, deceit, greed and romance are all mixed up in this tuneful story about Monty Navarro’s rise to head of the aristocratic D’Ysquith family. 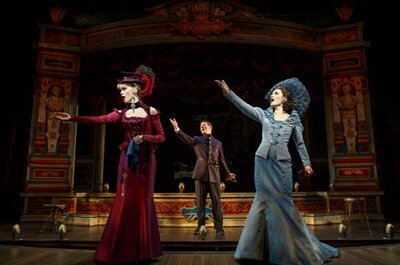 It’s a shame that this musical closes on January 3. Don’t wait. Walter Kerr Theatre, 219 West 48th Street. www.agentlemansguidebroadway.com. Closes January 17. Hand to God – an evil hand puppet named Tyrone that controls his master, Jason, bridges the gap between sanctity and irreverence. Steven Boyer’s performance as both puppet master and demonic puppet in this dark comedy is one-of-a-kind. A nice complement to Avenue Q. Not for children. Booth Theatre, 222 West 45th Street. 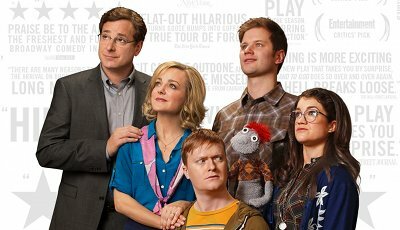 www.handtogodbroadway.com. Closes January 3. 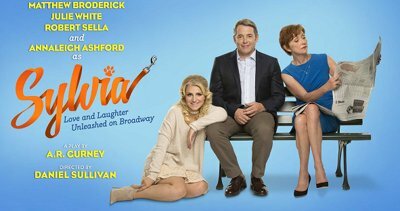 Sylvia – you’ll be laughing hysterically when you see Annaleigh Ashford’s performance as Sylvia, the stray that Matthew Broderick picks up in Central Park. If you own a dog, you’ll immediately recognize the doggie behaviors and you’ll understand the husband’s obsession with his new friend. Because of strong language, this one isn’t recommended for children either. Cort Theatre, 138 West 48th Street. www.sylviabroadway.com. Closes January 3. 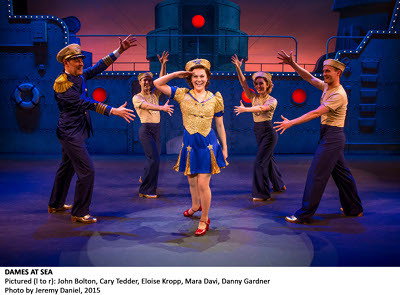 Dames at Sea – a classic in the Busby Berkely-42nd Street genre, this four-person revival will entertain anyone who loves a touch of glamour and a good old-fashioned musical. It’s the classic Broadway struggle-success story with fabulous tap dancing. Great for all ages. Helen Hayes Theatre, 240 West 47th Street, www.damesatseabroadway.com. Closes January 3. This entry was posted on Thursday, December 17th, 2015 at 7:02 pm	and is filed under Stuff to Do. You can follow any responses to this entry through the RSS 2.0 feed. You can leave a response, or trackback from your own site.